Corning’s “A Day Made of Glass 2” Will Blow Your Mind, Again. 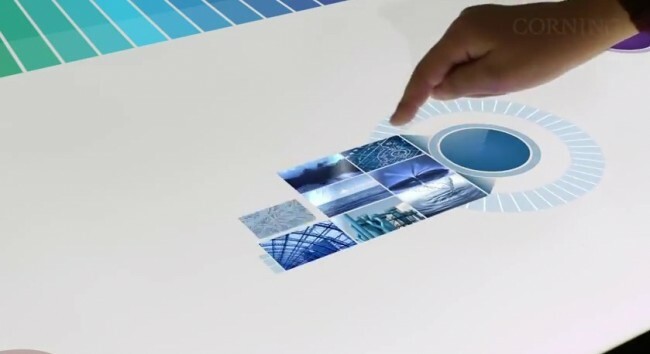 Arguably the coolest video of 2011 was Corning’s “A Day Made of Glass.” It racked up over 17 million views and gave us a look into a future that includes nothing but touchable surfaces, almost Minority Report style. It could be years and years before we see anything close to a world like this, but after watching this new version, you will again wish that it was happening now. Fully touch-capable walls that can share in real time with tablets and are interactive? Yes, please. Changing the theme of your car through a tablet and a swipe? Mmmhmm. How about live augmented reality video using a tablet in something like a state park? Corning believes in it.